Southwest, United Airlines, JetBlue, Alaska and Delta were all experiencing residual delays due to the outage, the FAA said. Airports in New York, Chicago, Washington, D.C., Atlanta and Dallas experienced the heaviest delays. 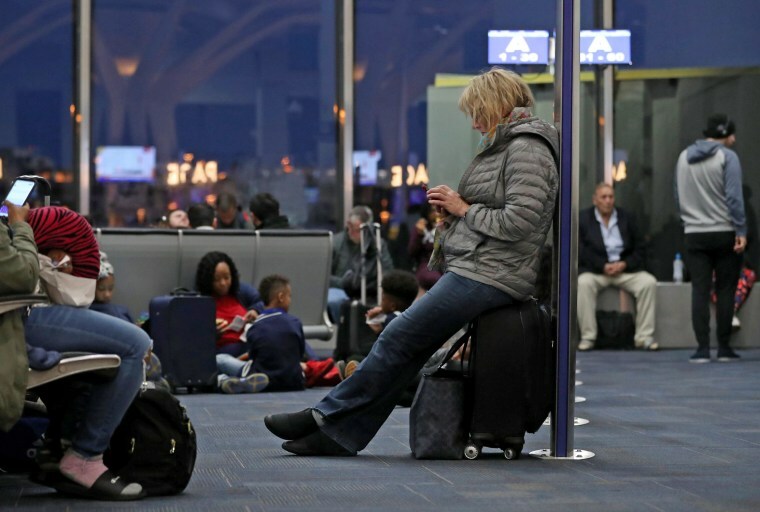 "It's affecting our flights system wide, and we're working to see if it's affecting any other carriers this morning as well. In the meantime, once more information has been made available our Agents at the airport will be happy to disseminate it to y'all," said a Southwest tweet. Nearly 1,000 Southwest flights were delayed by noon Monday, according to flight tracking website FlightAware. American Airlines, JetBlue and Delta also said in statements that the issue had been resolved, but residual delays could be expected. Delta's statement said the airline did not cancel any flights due to the "brief third-party technology issue."